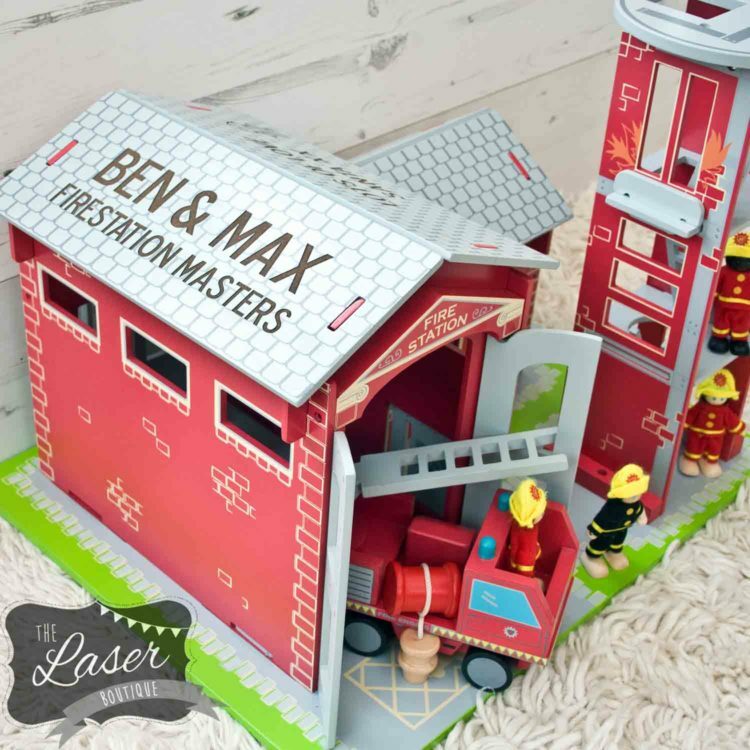 Both Pieces of roof are interchangeable with the main fire house. 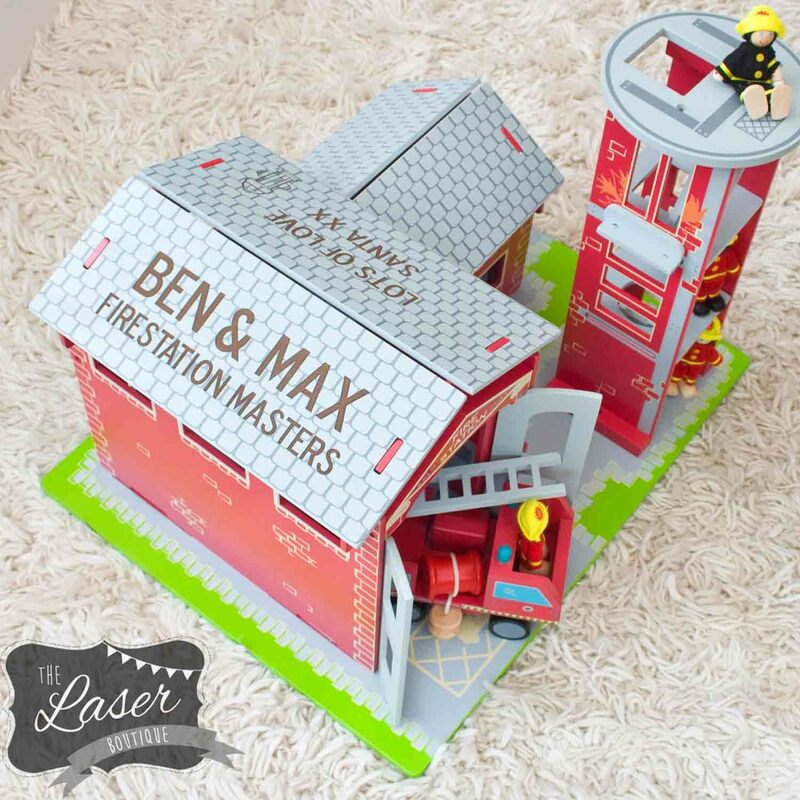 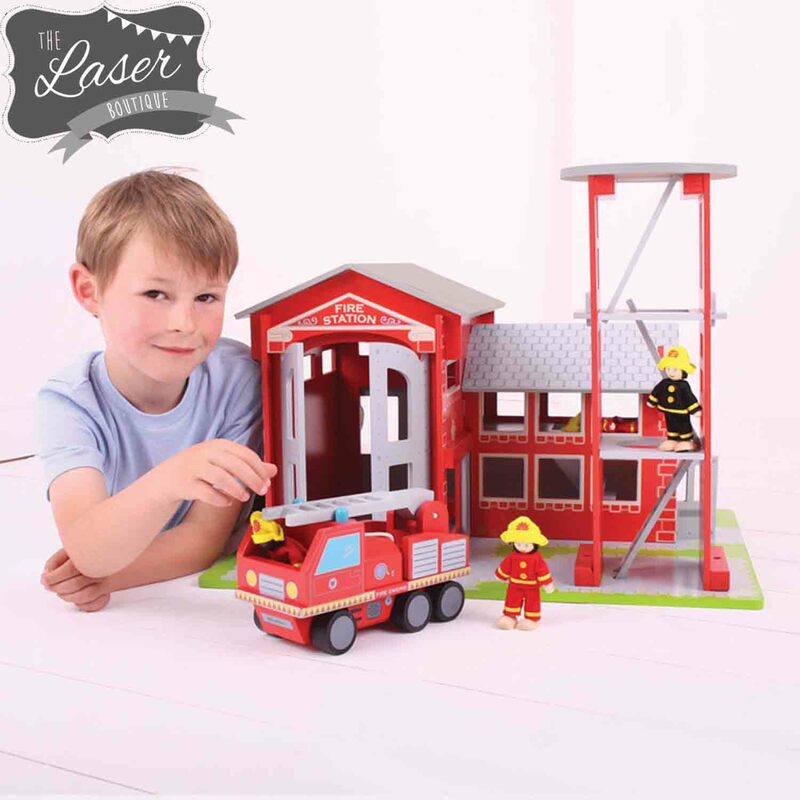 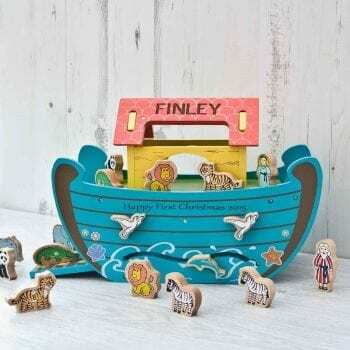 This wooden Fire Station and Engine is supplied complete with four firefighters who are ready to jump up from their sleeping quarters, slide down the pole and into their bright red Engine when there’s a fire that needs fighting! 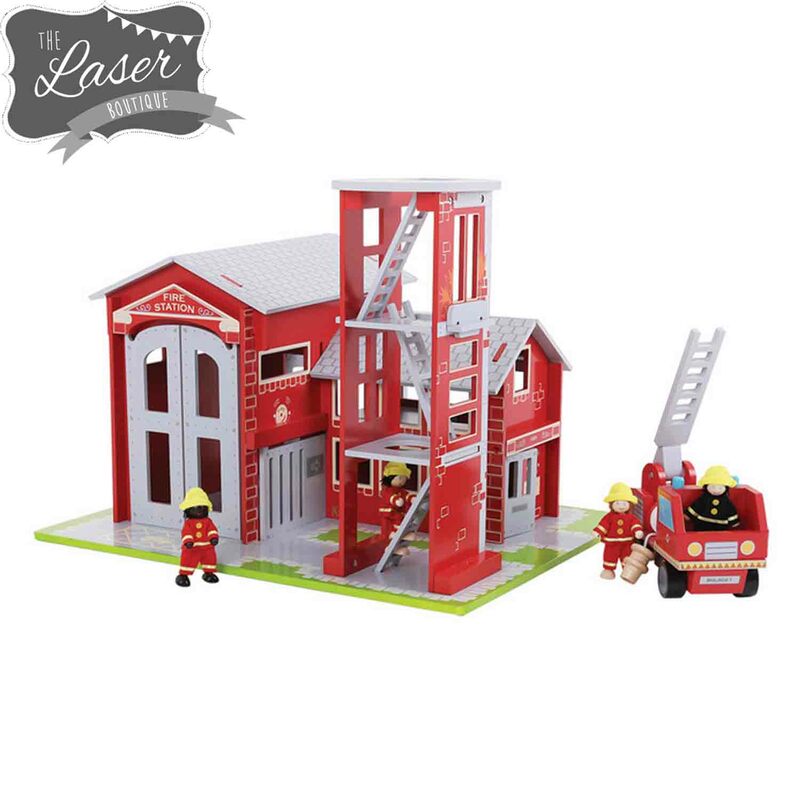 When they get to the scene they can roll out the hose and race up the collapsible ladder and then head back to the station when the work’s done, park the Engine inside the Fire Station and prepare for the next emergency. 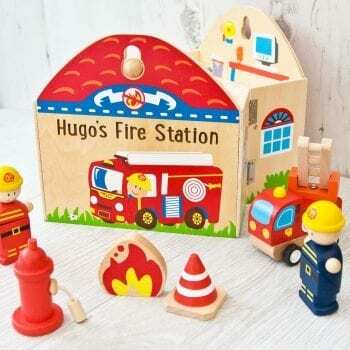 Two roof panels can be engraved with the message of your choice. The little fire hydrant is optional.